Miami In Focus Photo Gallery of the Wollman Rink C63 in Central Park. 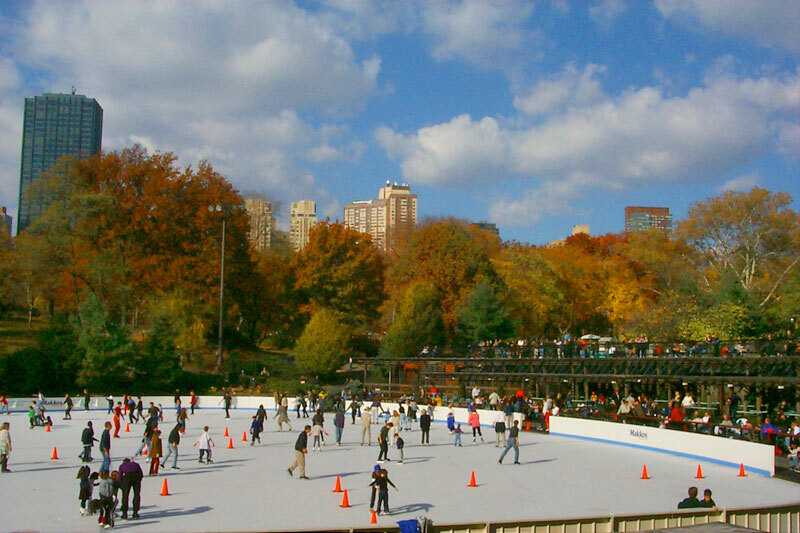 The most popular outdoor ice-skating rink in New York City is the Central Park Wollman Rink. Funds for the rink were donated by philanthropist Kate Wollman in memory of her parents and siblings. 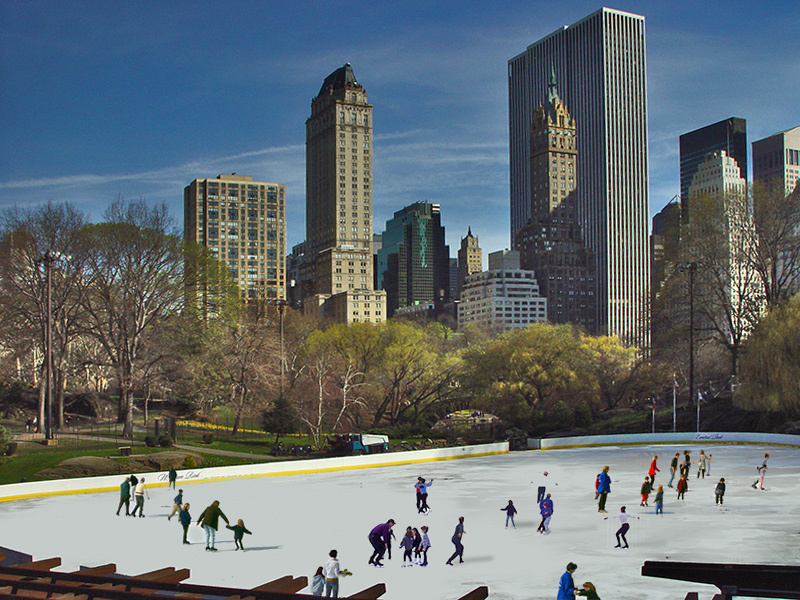 The Wollman Rink opened in 1950 and replaced part of the Pond when the Lake was no longer used for skating. The original ice- skating rink was proved to be insecure and was substituted by the present one in 1987. 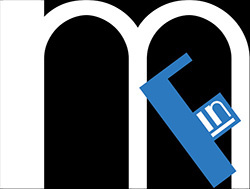 The Rink was loved from the start and continues to bring excitement to hundreds of thousands of patrons each year. 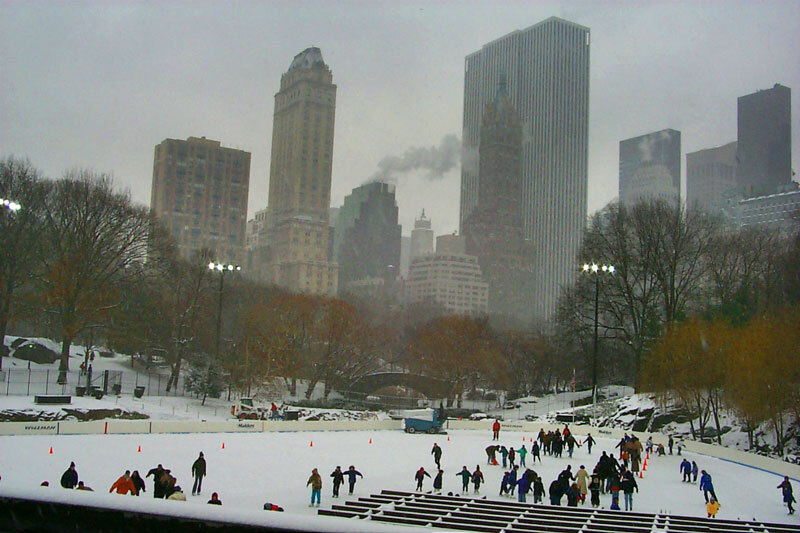 Situated northwest of the Pond, the 33,000-square-foot Wollman Rink offers skaters of all ages and skills many happy hours gliding across the ice in a spectacular location. As the invigorating music plays, skaters test their dance moves as they twirl around the Rink. Visitors find the picturesque setting and the awesome New York City skyline to be spellbinding. 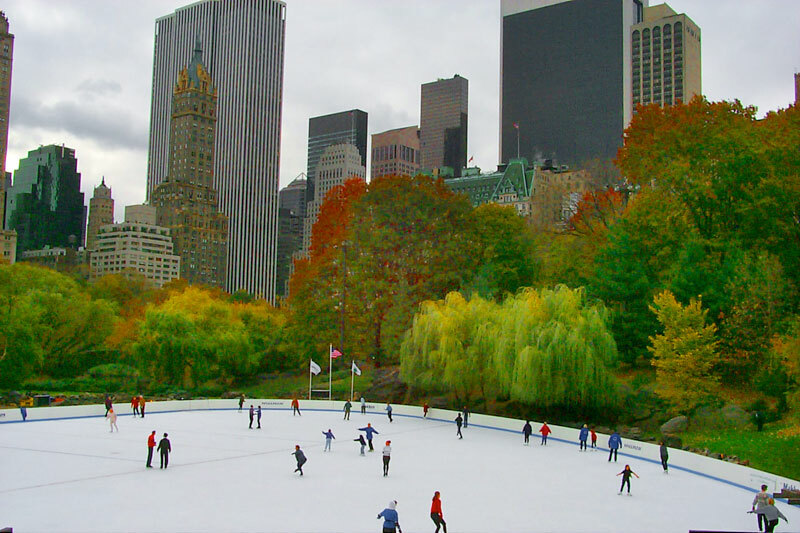 During the autumn the Rink is surrounded by a colorful array of red, orange and yellow foliage that boldly stands out against the white of the Rink. Yet, you don’t have to be on the ice to have all the fun. Admiring spectators can enjoy watching the people on the ice fully clad in their colorful outfits as they glide around the Rink’s gentle oval. The young ones look adorable, all dressed up in their brightly colored snowsuits with knit hats and mittens as they try not to fall. As the winter approaches, so do the crowds of people especially in the middle of the holiday season. Parents enjoy bringing their children as a delightful way to spend cherished moments together on the ice. offered at the Wollman Rink. In between a few rounds on the ice, skaters can warm their bodies at an informal cafe that serves assorted fast food, snacks and hot drinks.